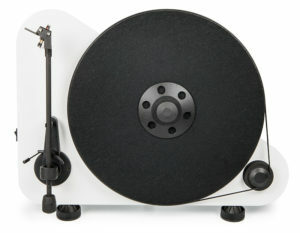 Audiophile “Plug & Play” vertical turntable with easiest possible set-up including wall-mount option! Turntable setup shouldn’t require a degree in rocket science and our VT-E turntable proves that. 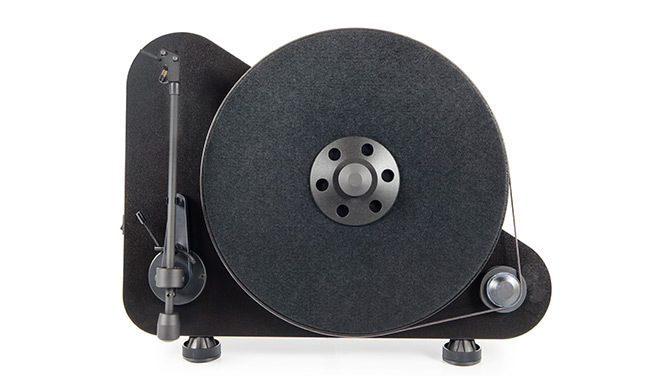 This fantastic sounding belt-driven deck offers 2 versions, for left and right-handed users. The VT-E turntable can be positioned on a table or mounted to a wall with the included hardware, saving space on surfaces in your home. The simple setup process is made possible with tracking force and anti-skating carefully set in the factory. 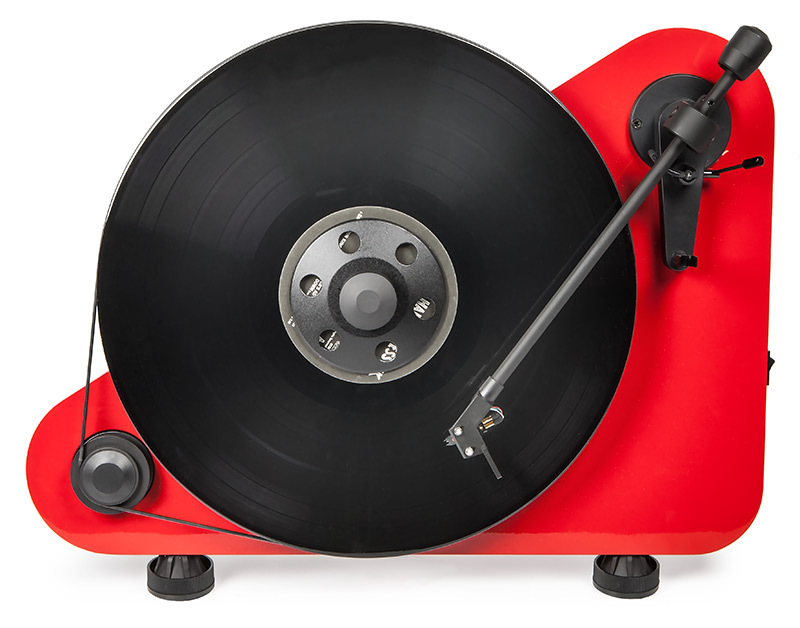 The turntable is available in matte black, matte red or matte white. A Bluetooth version, the VT-E BT, is also available for wireless audio transmission to your receiver or speakers. Transmit audio directly to your Bluetooth-enabled receiver or Bluetooth speakers with the included module. This gives the VT-E an exceptionally clean look in the wall-mounted position. A specially placed tone arm that can be operated left-handed!